The CardSwap platform offers Canadians a fast, easy, and completely secure way to sell unwanted gift cards for cash, buy gift cards and earn rewards, and even donate gift cards to a charitable cause. Canadians love giving and receiving gift cards. In fact, we spend around $6 billion on them each year. Gift cards are convenient, easy to send, and give recipients a chance to pick exactly what they want—in the perfect size and colour. But there is a downside. Sometimes people receive cards they just can't use: a steakhouse card for a vegetarian, or a coffee-shop card for someone who just gave up caffeine, for instance. Although they are given with the best intentions, sometimes a gift card just doesn't fit the recipient's lifestyle. Consumer Reports magazine estimates one out of every four gift cards remains unused more than a year after it was received, and many are ultimately lost or discarded. On average, every Canadian household has over $300 in unused gift cards lying around gathering dust. All these wasted cards add up to a nationwide issue that's bigger than you might think: $1 billion thrown away every year. Sell. CardSwap is helping Canadians salvage those unused or partially used gift cards and turn them into cash—up to 92 per cent of the card value. That puts hundreds of million dollars back into the pockets of Canadian consumers! Buy. Even better, CardSwap puts these recycled gift cards back into circulation, making them available for consumers to buy on the website. Savvy shoppers can buy gift cards while earning rewards for gift cards and cash back savings on everyday purchases, including dining, shopping, groceries, and even gas. Donate. CardSwap is pleased to announce a wonderful new use for unwanted gift cards: donate them directly to your favourite charity. CardSwap has partnered with Canadian non-profit organizations including the Canadian Breast Cancer Foundation, Ontario Region and Covenant House Greater Toronto to allow consumers to donate gift cards and receive an official tax receipt for their donation. Now Canadians can confidently buy, sell and donate gift cards online through a reputable company that verifies and validates each card and guarantees customer satisfaction. With full validation of all gift cards, we guarantee that our customers will be fairly treated and receive exactly what they paid for. Validation All gift cards are validated with the merchant to confirm the full face value before being listed on the site. We guarantee that customers will never buy a gift card that does not work, or has inaccurate amount. Should a buyer ever find that the gift card they receive is materially different than the one purchased, they have three weeks from the date of purchase to notify CardSwap and request a refund. Frances Ho, co-founder and COO, first conceived the idea for CardSwap when she tried—unsuccessfully—to get rid of her own stack of unused gift cards on Craigslist. After spending hours listing the cards, meeting with potential buyers, haggling over lowball offers and finding it nearly impossible to prove the dollar value of the cards, she decided there had to be a better way. She began developing a safe, secure, verified system where card owners could get a fair price for their unused cards, and where card buyers could purchase cards with confidence. 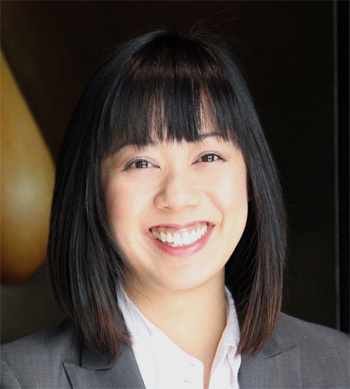 Ms. Ho received her Bachelor in Business Administration from the Schulich School of Business. CardSwap has also garnered extensive regional and national media coverage, including: CTV (national); CBC; Global (national); CityTV; BNN; the Globe and Mail; and the Toronto Star. All media inquiries should be directed to Frances Ho at (416)491-2233. CardSwap's executive team is comprised of seasoned business builders with a proven track record of success. Frances Ho is a co-founder of CardSwap. Her creativity is driving force of innovation at CardSwap. When she's not brewing up new ideas she operates the company green and lean. Prior to CardSwap, Frances co-founded a real-estate office that achieved in excess of $50MM in annual transaction volume. Frances received her Bachelor in Business Administration from the Schulich School of Business. Zaheed Poptia is a co-founder of CardSwap. Prior to CardSwap, Zaheed was a founding member and Vice President at Signal Hill Equity Partners, a $100MM Canadian private equity fund. He has also served as an independent consultant for: Intrawest Corp in Vancouver, New England Development in Nantucket, Aga Khan Development Network in Kyrgyzstan, and Deloitte in Beijing, PRC. Zaheed started his career with EdgeStone Capital Partners where he supported the founding partners with their growth objectives. During his tenure with EdgeStone, assets under management increased from $180MM to over $1.0B. 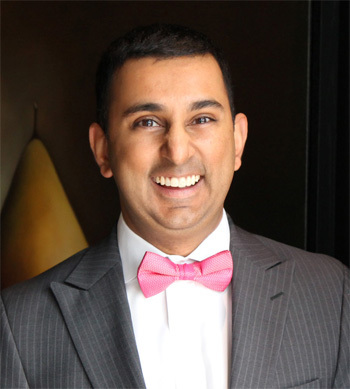 Zaheed has an HBA from the University of Western Ontario and an MBA from Harvard Business School. Desmond Leung is the technical co-founder of CardSwap. 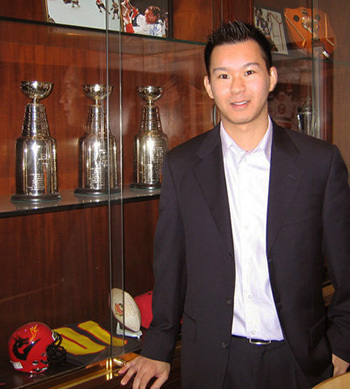 Desmond was previously CTO of a technology company that was sold to Quebecor Inc. for $80MM. Post-acquisition the company was spun-out into a separate public company (NUR.TO) where it achieved market capitalization of $1.4B and Desmond, as CTO, oversaw the management of 800+ technical personnel and global accounts. Desmond also has more than 8 years of experience investing as a principal in early-stage technology companies with an expertise in the development of web and mobile applications. One of Desmond's database intelligence solutions secured him a contract with the New York Islanders hockey franchise, where he liaised directly with the owner and general manager using analytics to help support game-time decisions.